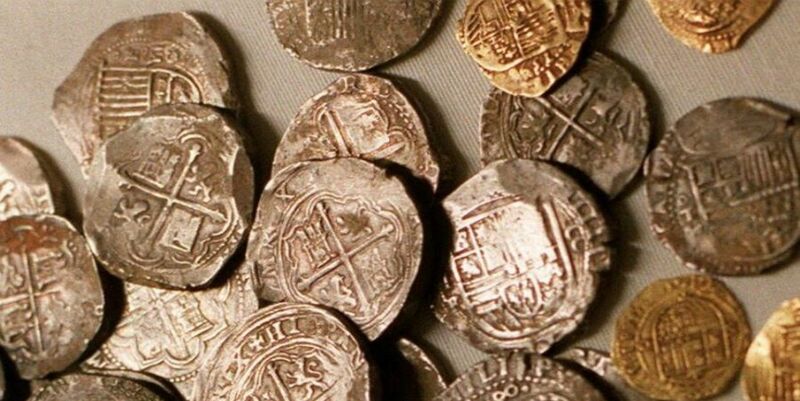 Budapest – The low level of the Danube waters caused by the drought has allowed a group of archaeologists to find the treasure of an 18th century sunken ship with more than 2,000 silver and gold coins. “It’s something very exciting and unique,” explained Balázs Nagy, archaeologist and numismatist (currency specialist) of the Ferenczi Museum in Szentendre, located north of Budapest. An amateur with a metal detector who found an old canteen (water container) in the town of Érd, south of Budapest, put on the track the experts of the museum. After a few days of work at the site, at a time when the Danube is much lower than usual, experts found more than 2,000 silver coins, 10 gold coins and other ancient objects as weapons last week. “I have no information about another finding of these dimensions in Hungary, it is exceptional and at an international level it is also important,” the numismatist added. The coins were minted between 1655 and 1743, and come from several European countries. Half of the gold coins are foreign, as well as the majority of silver ones, explained the numismatist, who said that there are among them the France of Louis XIV, of Poland, Germany, Switzerland, Holland and also one of the Vatican, among other places. Bearing in mind that water is capable of moving objects at important distances, investigations will soon begin to find the remains of the ship, with sonar and underwater archaeologists. It is very difficult to determine what may still be in the Danube, emphasized Nagy and added that now begin the work of conservation and restoration of coins and other objects. “This work will have priority now,” concluded the archaeologist who said the museum hopes to organize a show with the objects in 2020.